Shipments of Android-based tablets including Amazon's Kindle Fire saw a "steep drop" in the first quarter of 2012, allowing Apple's iPad to grow to 68 percent of tablets shipped worldwide. The latest data released on Thursday by IDC shows that Apple's worldwide market share increased significantly from the 54.7 percent the company held in the holiday quarter to conclude 2011. Apple's gains came largely from Amazon's losses, as the Kindle fire plummeted from 16.8 percent share in the fourth quarter of 2011 to just 4 percent share in the first quarter of 2012. "Apple reasserted its dominance in the market this quarter, driving huge shipment totals at a time when all but a few Android vendors saw their numbers drop precipitously after posting big gains during the holiday buying season," said Tom Mainelli, research director, Mobile Connected Devices at IDC. "Apple's move to position the iPad as an all-purpose tablet, instead of just a content consumption device, is resonating with consumers as well as educational and commercial buyers. And its decision to keep a lower-priced iPad 2 in the market after it launched the new iPad in March seems to be paying off as well." Amazon's sharp drop in shipments of the Kindle Fire allowed Samsung to regain the No. 2 position in worldwide tablet shipments. Lenovo finished the quarter in fourth place, while Barnes & Noble, maker of the Nook platform which will see a $300 million investment from Microsoft, came in fifth. IDC said that although Android tablet shipments fell "sharply" in the first quarter of 2012, there are signs that products from Samsung and Lenovo "are beginning to gain traction in the market." 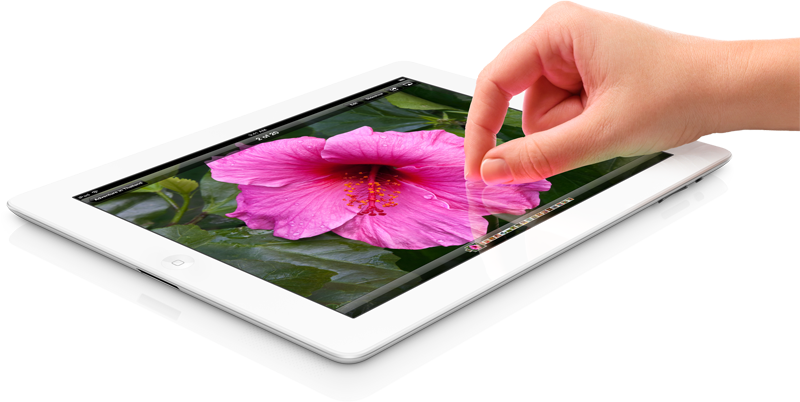 The research firm expects that tablet shipments will rebound in the coming quarters. "It seems some of the mainstream Android vendors are finally beginning to grasp a fact that Amazon, B&N, and Pandigital figured out early on: Namely, to compete in the media tablet market with Apple, they must offer their products at notably lower price points," Mainelli said. "We expect a new, larger-screened device from Amazon at a typically aggressive price point, and Google will enter the market with an inexpensive, co-branded ASUS tablet designed to compete directly on price with Amazon's Kindle Fire. The search giant's new tablet will run a pure version of Android, whereas the Fire runs Amazon's own forked version of the OS that cuts Google out of the picture." The initial success of the Kindle Fire last holiday season helped to push Apple's share of total tablet shipments under 60 percent. But that strong start now appears to have been short lived, as shipments decreased sharply after the holidays. Amazon is expected to expand its Kindle Fire lineup in the coming months with a new, larger 10-inch model that will be sold alongside the current 7-inch version, which sells for $199.